Late fall and winter can be a tough time for foragers in the majority of North America. After the fall mushrooms are gone, there isn’t a whole lot left in the realm of wild food. 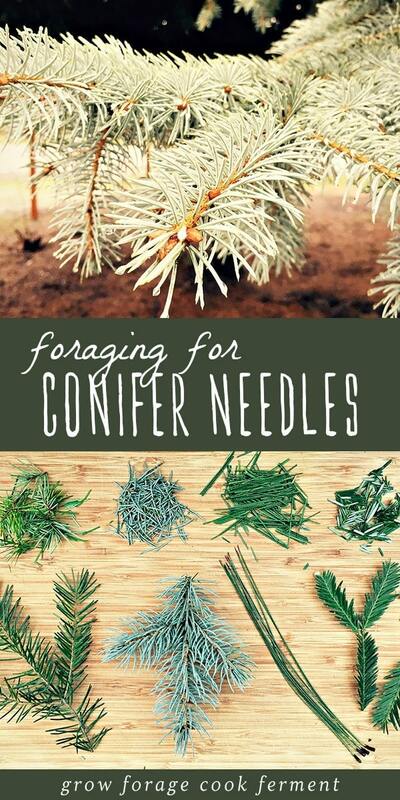 The one thing that most of us have, no matter where we live, is pine or other conifer needles. They are something we see nearly every day, but did you know that they are edible and medicinal? Foraging for pine needles is one of those things that you can do in the winter time to connect you to nature and the wonderful living world around you. One of the best plants you can utilize in late fall and winter are trees, specifically conifers. 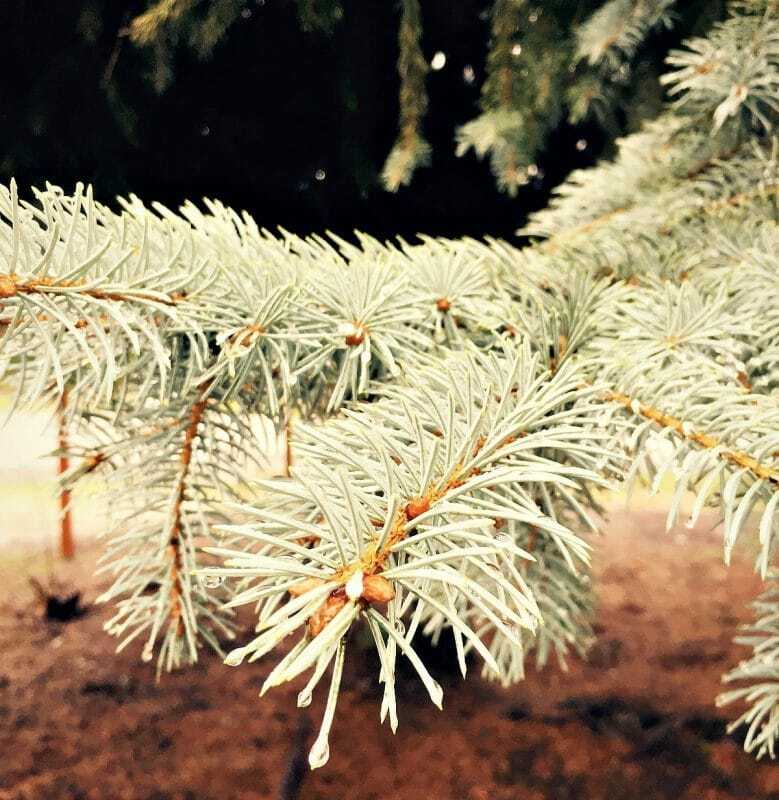 Conifers are evergreens, meaning that they don’t lose their needle like leaves in winter. The conifer division is called Pinophyta, which has eight families including Pinaceae and Cupressaceae. These two families contain the majority of what we think of as “pine trees” in the United States, including firs, spruces, hemlocks, cedars, pines, junipers, and redwoods. 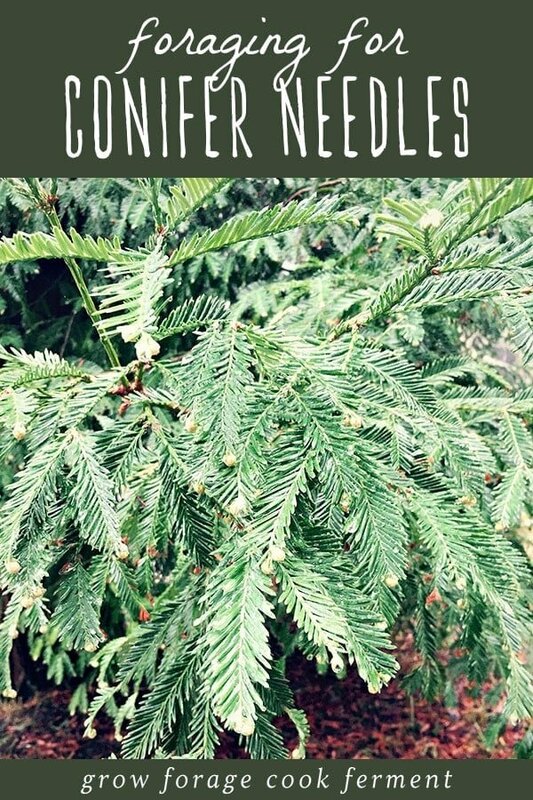 There are many different species of conifers that are edible and medicinal, but please consult a guide book to make sure you are foraging for the right tree as there are a few that are toxic, most notably those in the Yew family. Here are a few of the common ones on the west coast. 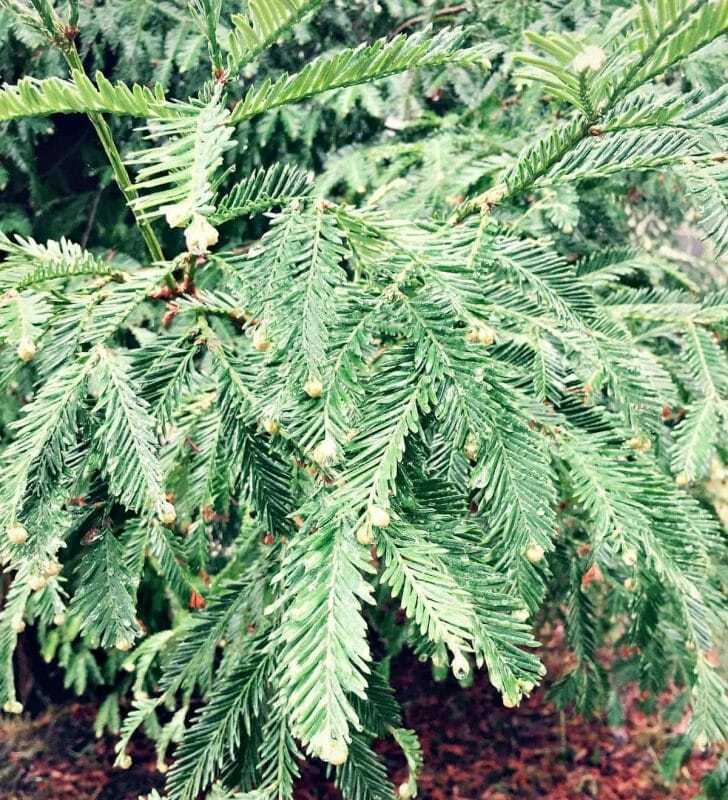 This is the quintessential Oregon tree, and the variety that we always had as a Christmas tree growing up. Smelling a Doug Fir always puts me in the holiday spirit! 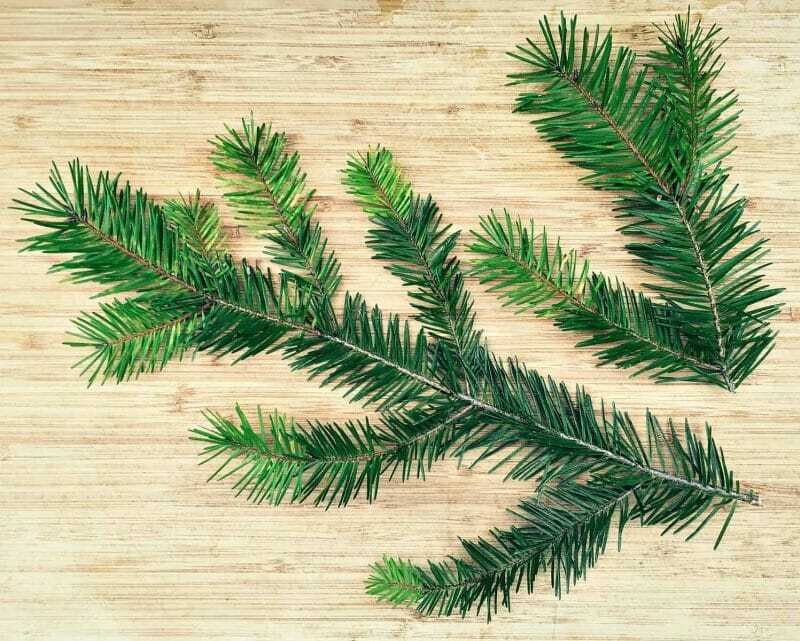 The tips of Doug Fir branches are the newest growth and are usually a lighter color of green. They are tender and edible, and can be made into a tea that is rich in vitamin C. An infusion of the needles may also be beneficial as a healing wash for arthritis. Or you can always make these amazing sounding Douglas Fir shortbread cookies! The Ponderosa Pine (Pinus ponderosa) is also in the Pinaceae family. There has been some concern that it is toxic and can cause abortion when used internally, but that is most likely a myth (read: Foraging Myth Busting by Eat the Weeds). Regardless, I would probably steer clear of it if you are pregnant, but for everyone else, consuming it in small amounts shouldn’t be a problem. Native Americans have been doing it for thousands of years! 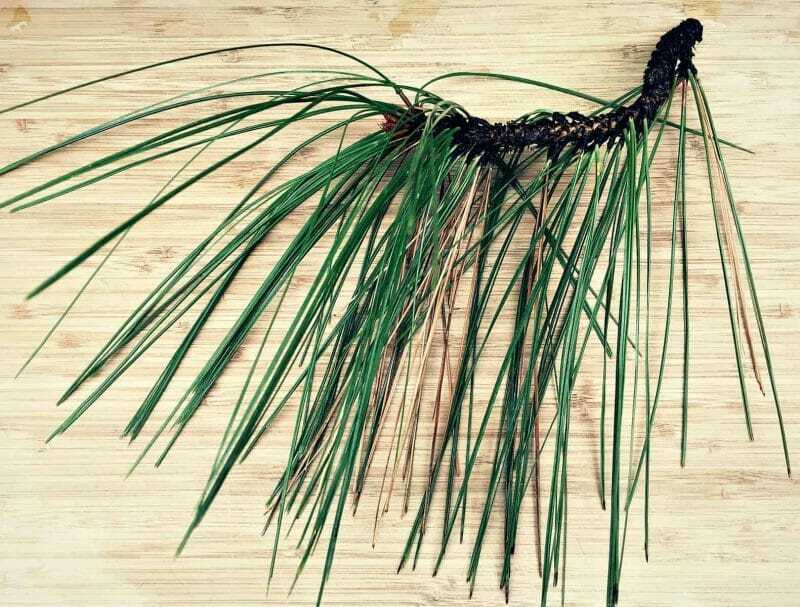 Pines have long needles that are bunched in different numbers depending on the species, which helps with identification. Ponderosa usually has three needles per bunch, sometimes two. Pine tree species, such as Ponderosa, Lodgepole, Jeffery, Western and Eastern White, and Sugar Pine, have all long been used medicinally. The needles are generally used in a tea that can be used internally for respiratory ailments, or externally for a multitude of skin conditions. They are also high in vitamins C and A, as well as many minerals and antioxidents. Can I tell you how much I love Spruce trees? 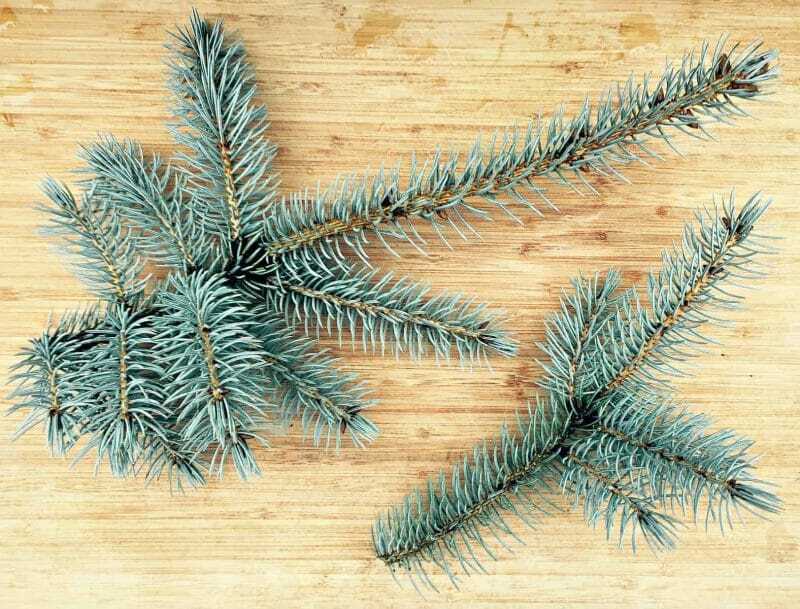 Especially the Blue Spruce (Picea pungens, also in Pinaceae), with its beautiful silvery blue-green color and sharp, spiny needles. You know it’s a spruce tree if it hurts when you grab them! Spruce trees are another common Christmas tree, a gorgeous one at that. They are actually native to the Rocky Mountains, but have been introduced well beyond their native range and are common in parks and public areas in much of the nation. 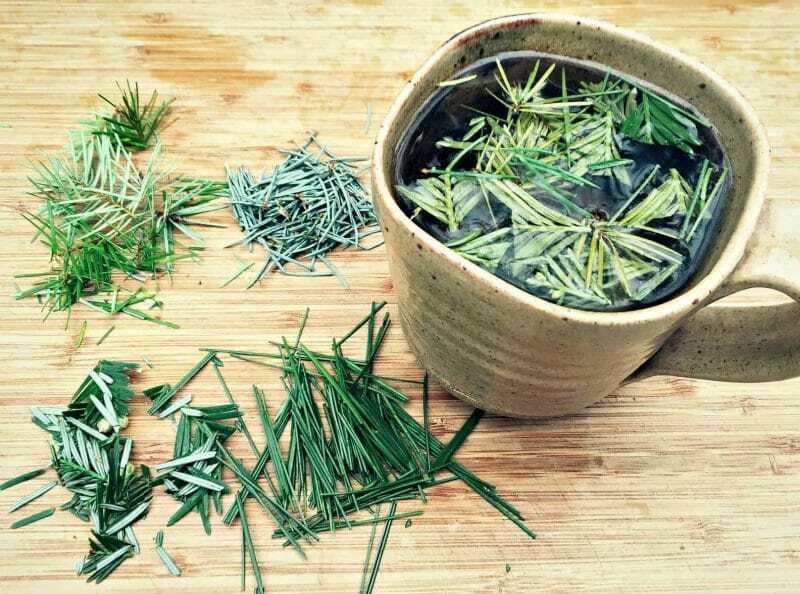 An infusion of the needles makes a lemony tasting beverage that is used to treat colds and settle upset stomach, and is also very high in vitamin C. Pregnant women should avoid drinking Spruce tea. I’ve also recently learned that there is such a thing as “spruce beer,” which I will definitely be looking more into soon! The Coastal Redwood (Sequoia sempervirens) is the only one I will be talking about today that is in the Cupressaceae family. These huge and long lived trees grow along the Northern California and Southern Oregon coast. We are lucky enough to have one right in our front yard! To me the leaves and needles have a bit of a prehistoric look about them. They are long and flat, green on the the top and silvery white underneath. The end of each leaf has a little bud that will eventually turn into a cone. 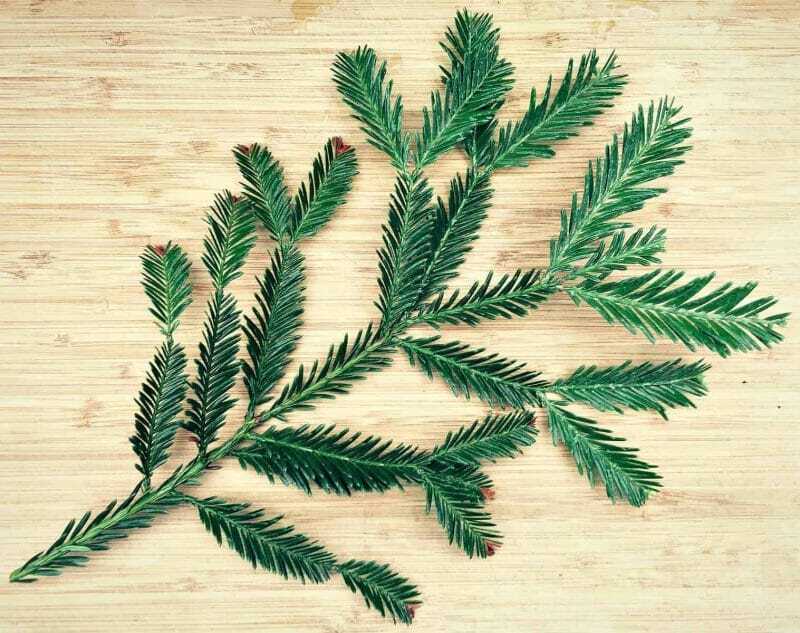 Redwood needles have similar properties as the others I have listed: high in vitamin C and good as a tea for colds and flus. It is also antimicrobial and and stimulates circulation. Beyond that, it feels as though you are drinking a piece of history! Here’s my recipe for Redwood Needle Shortbread Cookies, a favorite for the holiday season! 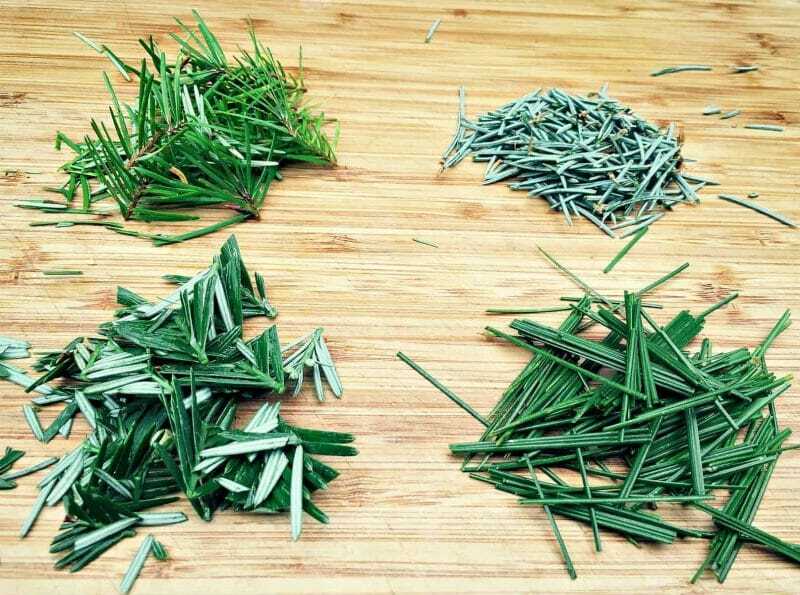 As you may have gathered, the most common way to use these conifer needles medicinally is to make a “pine needle tea” out of them. First you will want to strip or snip the needles off the branch, and if they are really long (like many pines are), cut them in to smaller pieces. Add a spoonful of needles to a mug, pour boiling water over them, and let steep. This will smell like a warm mug of the holiday season! Sip on the wonderful piney taste and get a good dose of immune boosting vitamin C. This tea was traditionally consumed throughout the winter to keep scurvy away. 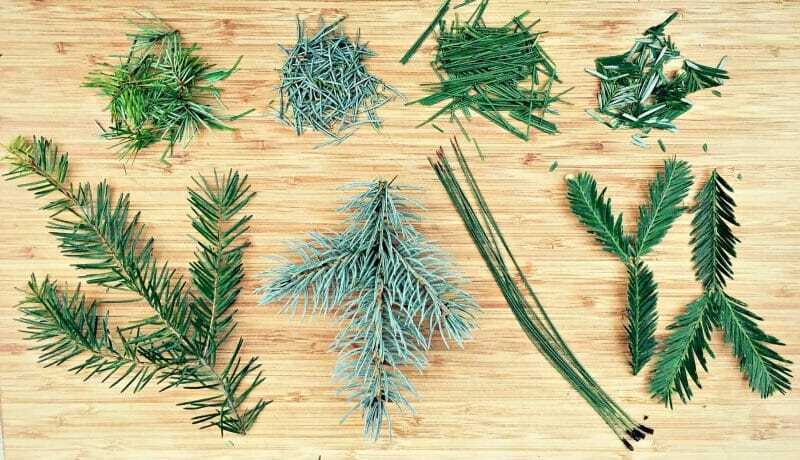 There are many other great ideas for using pine needles in this post I wrote for the Herbal Academy: 8 Terrific Ways to Use Pine Needles Right Now. Most of these trees are very easy to find and identify (use a guide book, like these Western Region and Eastern Region Field Guides to North American Trees), and are quite widespread. I actually found three of them right in my yard, and the other one (Blue Spruce) not far down the road. You may even be able to make a tea from your own Christmas tree, as long as you have a real tree that is. Just be sure that it wasn’t sprayed with chemicals first. Hope you have a happy fall and winter season, and drink lots of pine needle tea! Previous Post: « Updates and Recent Happenings: Snow! Thank you for all the wonderful information! I am relatively new to foraging but I have some needles that I dried planning to use in tea. Just wondering if you know the shelf life of the needles. Do they more or less have to be used fresh, or could you have some on hand, stored? They are best when used fresh. They will last for up to a week in storage, but after that they start to turn brown and lose some of their potency. A pine was just cut down in the neighbour’ s yard. It’s covered with tiny cones… an inch or less. Is there anything worth picking/saving them for? Thank you for all the wonderful information! I am relatively new to foraging but I have some needles that I dried planning to use in something can those be used in tea? 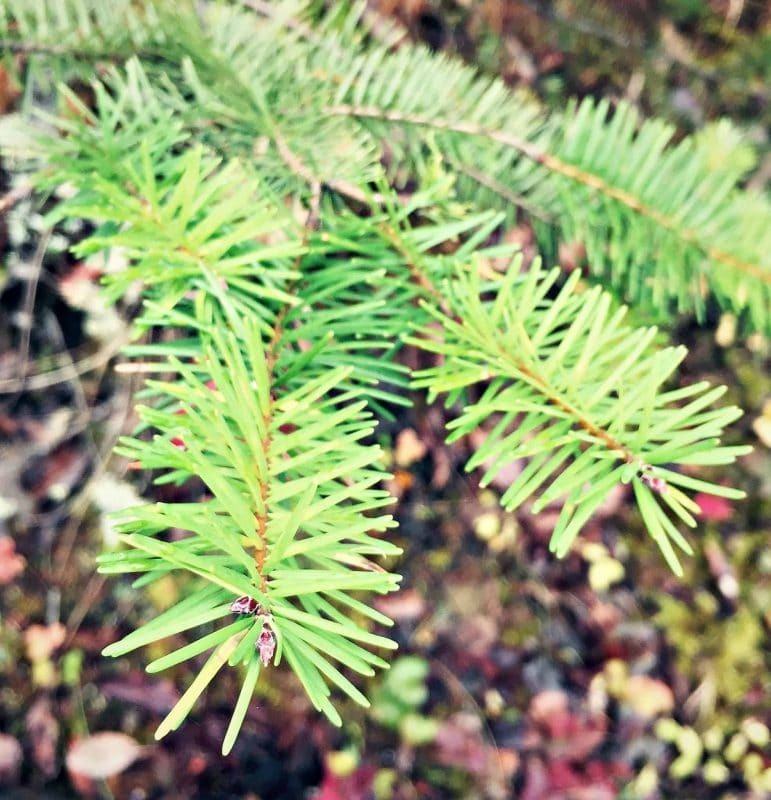 Most conifer needles are edible and can be made into a tea. Just make sure that they aren’t from the Yew tree, which is toxic. Im trying to figure out what kind of pine tree I grabbed needles from and it looks like its a Ponderosa pine possibly.. Needles are in sets of 3. Very long.. I watched a video that said it was highly toxic.. Whats the best way to determine if the needles someone has are safe? They might be Ponderosa, the best way to identify Ponderosa is by is puzzle piece looking bark. Regardless, Ponderosa isn’t toxic unless eaten in crazy large quantities (like literal tons), and should be avoided while pregnant. Depending on where you live your Christmas tree could and most likely is a very bad idea to make tea from as most commercially sold Christmas trees are sprayed with a green dye and a fire retardant. Just a FYI. And not to mention pesticides and herbicides. But there are organic Xmas tree farms that don’t do these type of practices, just do your research first! From what I understand it’s also high in Vitamin C.
Does this include pinus radiata in New Zealand? Ha! I just finished reading a book about a couple who were stranded on a mountain and one of the things they did to survive was drink pine needle tea! I must be meant to try it. This is my favorite winter tea. Great post! I like to add spearmint, honey, and lemon to my pine needle tea. Wonderful for sore throats and congestion. Western Hemlock too. Nice and lemony flavor. Not poisonous. 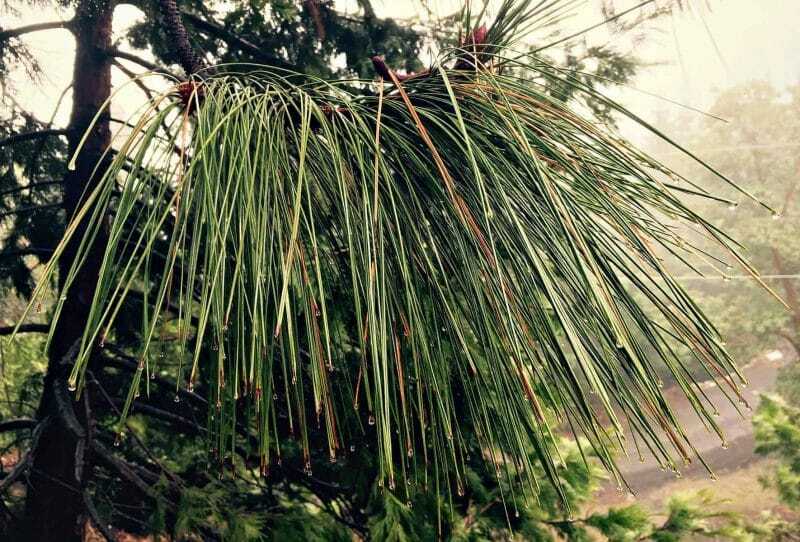 Who would have thought…tea from pine trees! I will try this…. The sap has so many calories and nutrients that Indians have been using it for hundreds of years for survival food. You can also make a syrup out of the sap for cooking and baking. Thanks for sharing this; I also shared this on my Facebook and recommended your web site…. lots of goodies to learn… Have a wonderful and safe Holiday Season… Thanks again..